An Anglophone is an “English-speaking person,” and can come from any nationality or any part of the world. No matter where they reside, they simply have to be members of a multi-lingual population having English as their primary language. That is why countries whose primary language is English are normally referred to as Anglophone countries, implying a certain culture, and the origin of this has its basis in colonization because outside of the British Isles, these are countries that had been colonized by imperial England. A Southern Cameroonian, Ambazonian, is a citizen from the territory clearly defined after the Treaty of Versailles on June 28, 1919. Britain and France were given League of Nations Mandates to administer seized territories from the defeated Germans after the WWII with the British Mandate consisting of two territories; Northern Cameroons and Southern Cameroons. 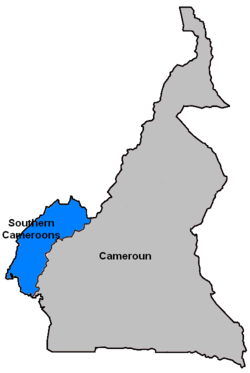 From the onset, the Southern Cameroons was managed from, but not joined to the British territory of Nigeria. In the context of La Republique du Cameroun, using the term Anglophone to describe English speakers is a weapon, deployed to erase international borders, assimilate a nation of people and grant them second class citizenship in a fraud termed La Republique du Cameroun. This fraudulent entity called La Republique du Cameroun supposedly is made up of two distinct countries; La Republique du Cameroun and the Southern Cameroons. That the term is utilized ubiquitously in Cameroun as well as the Southern Cameroons demonstrate one of the greatest successes of one people successfully assimilating another in modern history. That most Southern Cameroonians join with all the citizens of La Republique du Cameroun to always contextualize issues as an “Anglophone issue” or “Anglophone problem” demonstrate one of the greatest con jobs in history. 3ns must be afraid of and suppress and not focus on their colonizer, France. 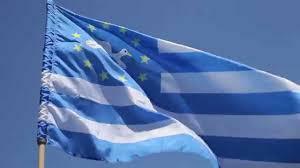 And since what is good for the goose must also be good for the gander, La Republique somehow succeeded in creating entities they termed Northwest and Southwest provinces and have been attempting to pit these two against themselves, somehow successfully, so that the dissolution of the last vestiges of the Southern Cameroons can continue apace. With all of this, there is still a virulent group of Southern Cameroonians who join with our colonizers and worship at the alter of “Southern Cameroonians are Anglophones and Anglophones are citizens of La Republique du Cameroun and that’s that!” To these people, “Cameroon is our country.” The one incontrovertible fact they point to is that a vote was held in which the people of Southern Cameroons “freely” decided, in a democratic fashion to join La Republique du Cameroun. What is democracy? It is, “a government in which the supreme power is vested in the people and exercised by them directly or indirectly through a system of representation usually involving periodically held free elections.” Has there ever been a situation in the world where a democratically organized election in such a context has been done as a one off? Is anything democratic and free that is a one-off and can never be repeated or duplicated? How can an election to join become something never to be repeated and mean that every single right that a citizen of the Southern Cameroons held that day will be forfeited forever, not just for him or herself, but for their descendants for the rest of time? I can, though it will be a stretch, understand the argument that those who voted to join La Republique forfeited the right to ever vote again on that question, but how can it be that they were given the right to take away my own right to make that decision for myself? Christians have the concept of original sin, sins of the father but even God Almighty, gave the descendants of Adam and Eve the right, the opportunity, to rid themselves of the poor choices of their forebears; to rid themselves of original sin. Can we, as Southern Cameroonians, children of the same God, accept that we are unworthy of such a right in the context of man? Scotland, Quebec and others were defeated in a war, swallowed up by others through force of arms and bloodshed and governed for hundreds of years and for a majority of those years, had equal citizenship with their conquerors but even so, now, periodically, democratically, they go to the ballot box to see if another generation of Scotts or Quebecois will declare independence or remain in equal citizenship with Canada or England. How can we, who from the start, used a ballot suddenly now are told it was a one-off right given to your forefathers and those whose forefathers lost their land in wars suddenly have the right to go to the ballot every once in a while to affirm that of their own free will, they remain partners in an entity? There is no Anglophone problem in Cameroun. We are not Cameroonians, “Cameroun” is not our country. We are Ambazonians (Southern Cameroonians) and those who voted to join Cameroun are long gone and never, never, never was their vote synonymous to taking the right of deciding their own destinies from the hands of future Southern Cameroonians.